But like every marketing tactic, social media advertising needs strategy and deep audience knowledge in order to be effective. Below we offer a few tips and tactics that can help you hone your strategy and get more out of your social advertising efforts. #1 – Use organic tactics to test what resonates with your followers. Your existing audience of followers can be one of your greatest social advertising tools. These people and businesses have clicked follow or like for a reason—and they’re likely a good representation of the larger audience you’re trying to reach. Since you’re probably already posting on a regular basis for “free”, use that as an opportunity to test out different types of content to see what resonates most. Track which posts are getting the most clicks, likes, shares or comments so you can draw some conclusions of how a similar promoted post or ad would fare when released to a larger, targeted audience. #2 – Do your homework on how ads are sold on each platform. Each social media platforms offers an array of ad types. As a result, if you want to keep your budget under control and get the most bang for your buck, you need to be able to choose the right format for your objective. For example, if you’re looking to boost brand awareness, choosing a campaign based on the number of impressions—or how often your ad is shown—may be the right path. However, if you’re looking to engage a specific group of people who would benefit from your services, an engagement campaign—based on interactions such as clicks, shares, likes and comments—may be the way to go. In addition, ad text and the type of content you’re driving will also depend on the type of campaign you’re running. #3 – Get granular with your audience and ad creative. Simply put, if you don’t target the right audience, it doesn’t matter how compelling your ad copy or imagery is because it won’t resonate—and then you’re wasting money. Use the deep audience knowledge you’ve gained from your other marketing activities to create highly-specific, granular audiences to target. While this approach casts a much smaller net, you’ll likely see more success since you’re hitting a more specific audience. In addition, don’t limit your ad to just one specific audience. Create multiple granular audiences to connect with the unique subgroups you want to reach. For example, let’s say you’re promoting a pre-summer sale on grills. A specific audience could be urban-dwelling male and female vegetarians between the ages of 25 and 35, and another could be rural dads between the ages of 35 and 45. Once you have your specific audiences defined, the next step is to create unique imagery and ad copy. To go back to our grill example, for your vegetarian audience, your imagery could show a spread of delicious seasonal veggies roasting on the grill. For your rural dads, your imagery could show a similar-aged male manning the grill while family hangs on the patio overlooking open green space. Also, don’t limit your creative to just one version. Consider creating two or three with the same text, but different imagery—and vice versa. This will allow you to further understand what your audience finds most compelling. I think it’s safe to say that we’ve all experienced the creepiness—and effectiveness—of retargeting. Retargeting, or remarketing, allows you to keep your brand top of mind for those who’ve left your website without converting. And, of course, social media platforms provide you with a great retargeting opportunity. However, that opportunity is not limited to simply reminding your audience to check their abandoned cart or to download your new eBook. It can also help you accomplish the previous recommendations in this section. In fact, simply getting ready to retarget social visitors have its rewards. Facebook allows you to build custom audiences based on who your current website visitors are. 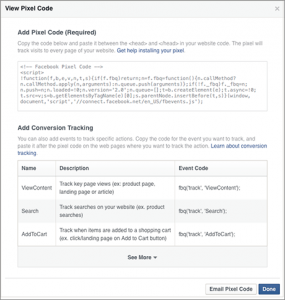 To get this up, you simply place a Facebook pixel within your website code to start building. As a result, Facebook can then provide you with a wealth of information about the makeup of your audience. For instance, you may be thinking that you need to target young and hip urban dwellers. But when you take a look at your audience, you may find it’s made up of retired wealthy suburbanites. In the end, this information can be used to create more targeted ads across all social platforms—and you’re set up for great retargeting on the most popular social platform. #4 – Launch a test. Now that you’ve defined your audiences, and the respective imagery and ad copy, launch a test with a small budget. The beauty of this is that you’ll be able to get pretty instant feedback on what’s working and what’s not. In addition, consider going a step further in your test by experimenting with different ad formats. As mentioned above, each platform offers different types of ads and they should align to your ultimate objective. But it may be worth testing out the different formats (i.e., impressions, engagement or conversions) to see where the best opportunities are. #5 – Start a campaign with multiple ads in the queue. If you hit your target audience with the same ad over and over again, fatigue will start to set in and you could do more harm than good. Whether you’re planning to run a campaign for one week or one month, include multiple ads within the campaign to serve your audience with multiple versions. This not only helps reduce fatigue, but again gives you the opportunity to see what’s working and what’s not so you can make tweaks or abandon ship. #6 – Design with mobile in mind. With nearly 80% of social media time spent on mobile devices, creating social ads with mobile in mind is paramount. Choose images that are easy to view on a mobile devices. In addition, if you’re attempting to drive users to a content asset on your blog or website, make sure that page provides a good user experience and is mobile friendly. 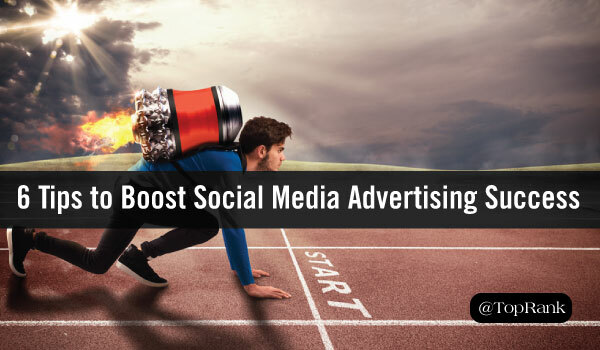 How have you achieved social media advertising success? Or where are you looking for more insight? Tell us in the comments section below.